The role of legacy in the discourse of citizenship will play an important role in the days to come if the BJP comes to power. On April 4, 2019, a young Indian woman from West Bengal landed at Kolkata airport from Dhaka. She had spent two months in Bangladesh doing research. She was born in Kolkata and lives in South Kolkata. Her father was brought to West Bengal in 1947 – the year of Partition – by his parents, when he was just six months old. The mother was born in West Bengal. Her grandparents, on both sides, were from East Pakistan, formerly East Bengal – and now Bangladesh. At Kolkata airport, an immigration clerk detained the young woman. He suspected her to be Bangladeshi, only because she had stayed in the country for two months. For the nationalist immigration clerk, her passport was not enough proof of her identity. The woman was asked about her parents, their date and place of birth, details of the year her family acquired property, etc. Not surprisingly, she couldn’t answer all these questions then and there. She was questioned and detained for over two hours, while allowed to contact her parents. They were already waiting outside the airport. The immigration clerk talked with her mother on her mobile phone. He was still not fully satisfied. After two hours, the clerk and the officer relented. They still believed that the woman’s parents may be Bangladeshis, because according to them Bangladeshis often try to pass off as Indians. The woman was finally let off simply because her travel papers were in order. After two hours of interrogation, the shaken woman, who had had to prove her Indianness, could finally pass through immigration. 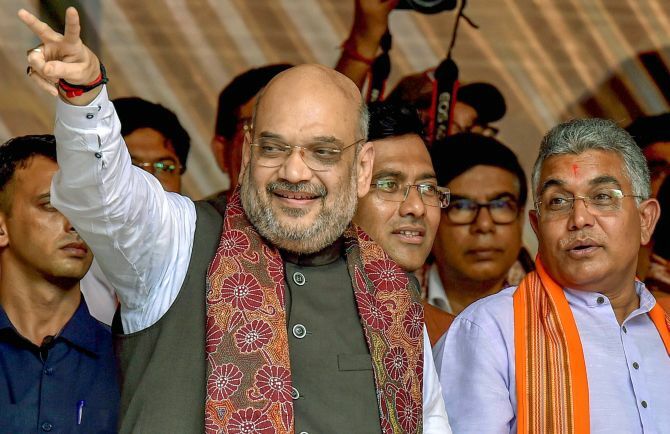 Meanwhile, Amit Shah, the president of the ruling BJP had launched his party’s electoral campaign in West Bengal by announcing that if it returned to power at the Centre, his party would verify national citizenship (through fresh registration), in a process similar to the exercise in Assam. Shah also assured the Hindus of West Bengal that such an exercise need not concern them. Hindus from Bangladesh would automatically be given citizenship or recognition as citizens. While other parties like the Congress and the CPI(M) remained silent or protested inaudibly on BJP’s declared intent to hold an NRC (National Register of Citizens) exercise in West Bengal, the local ruling party, Mamata Banerjee’s Trinamool Congress, began to raise the alarm loudly. As the polling progresses, the battle will get more fierce. War cries over citizenship will become shriller and the drums of a political fight will beat louder in North Bengal. We can be sure that as the electoral battle enters the heartland of Bengal (the midlands and the south), the fear of bloodbath over citizenship will become overwhelming. The seeds of the poison tree will have been sown irrespective of the outcome. While much depends on the poll outcome, we must consider the likely trajectory of the NRC exercise – set to become an integral part of nationalist politics, especially if the BJP wins. The juggernaut of registering citizens will roll on: Assam today, Bengal tomorrow, and then Bihar, to ferret out “Hindi or Urdu-speaking Bihari Muslims of Bangladesh and Pakistan”. It could then move on to Uttar Pradesh. The entire nation, if the BJP has its way, is to be purified. It is important to note the way such purification would be achieved. Think of the young Bengali woman at Kolkata airport. The clerk at the airport believed her papers were not in order. The clerk wanted to see her legacy papers, of her parents and grandparents. Herein lies the problem of citizenship and the family. We have to now think of the citizen without the family, with the institution of citizenship both violently breaking away from the family and reuniting with it. We need to consider questions like: what is legacy – indeed what is legacy in the discourse of citizenship? What will govern citizenship norms, oscillating between jus sanguinis and jus soli? What will happen to the individual as a person, who, on her own physical and legal basis of existence, claims and enjoys citizenship? The legal effect of this procedure of exclusion and then interdiction – the way the woman at the airport was subjected to interrogation – is tantamount to suspending her civil rights, and placing her under a verifying regime of political power. 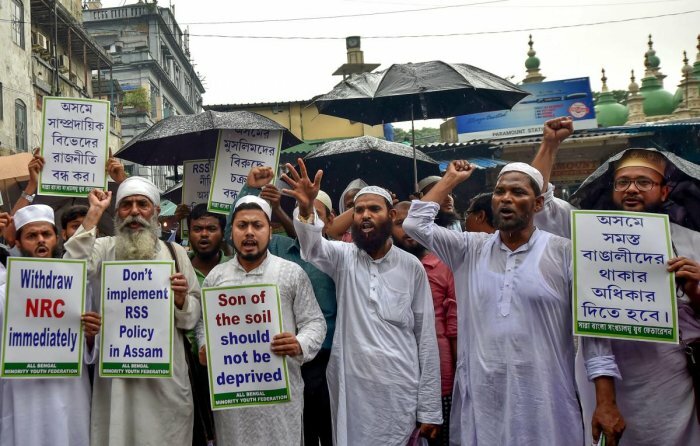 All Bengal Minority Youth Federation activists raise slogans during a protest against Assam’s controversial National Register of Citizen (NRC) draft, in front of Tipu Sultan mosque in Kolkata. Think again of the young woman. Her family’s existence was not enough evidence of her status of citizenship. It could have led to dispossessing the family of their property. A passport informs the society of the identity of the individual, but not of the family. What do we then do about the family? How can the State trust the family of the suspect citizen? This then is a procedure to arrest the power of the family through the construction of a legal myth called legacy, which modifies the biological with the legal, and along with that, modifies the power of the individual to claim citizenship as a person. The procedure is actually a kind of technical power that enters like a wedge in the broad continuum of the family extending to the state. The operating principle here is that since migration disturbs the neat continuity, we must violently tear migration away from the foundational principles of political society, or if you are ready to accept, the foundational principles of social stability. It’s significant that all this started with the Assam Accord. The NRC was supported by not only nationalists but also respected Leftists in Assam who hoped to protect Assamese nationality, maintain inter-communal harmony, and solve the immigration problem through an NRC exercise. Little did they realise that the task of protecting the nationality, once handed over to the state, would be governmentalised, and that such a process would only increase the power of the state over family, citizenship, and the lives and property of the lower classes. The administration, in tandem with the judiciary, the police and the administration, was tasked with supervision over citizenship. The power of the family thereby was transferred to law, judiciary, and administration. It was like handing over the delinquent or the rogue member of the family, to be punished. Only that the migrant is now to be handed over. This is the reason why family is such an important factor in the raging battle between citizens and non-citizens. As the institution guarding “legacy” and legacy papers, family becomes protector of the irregular. It’s hardly surprising then that countless families – extended and cellular – are turning up at TMC’s meetings and rallies. Mamata Banerjee is repeatedly harping on the menace of an institutionalised citizenship that, in her words, aims “at driving out Bengalis from Bengal”. This is a terminal struggle, which will produce a crisis of citizenship. The NRC’s role is like that of a pathologist who must produce the germs to show what the disease in question is. 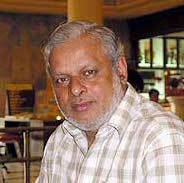 Ranabir Samaddar is Distinguished Chair in Forced Migration studies, Calcutta Research Group. He can be contacted at ranabir@mcrg.ac.in.